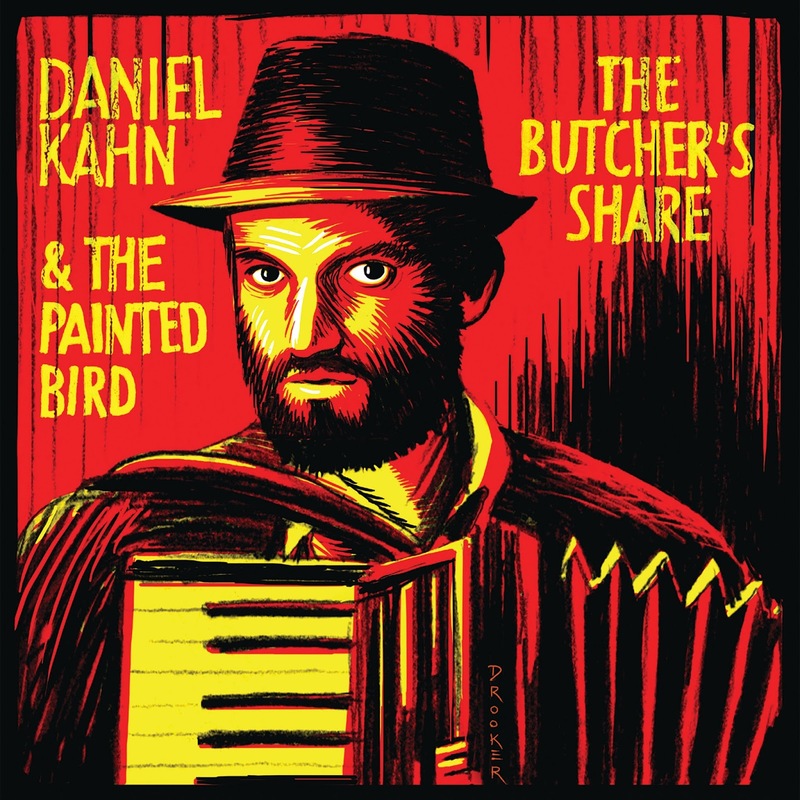 Here’s the fifth album from Berlin’s Daniel Kahn & The Painted Bird, released in Germany last year and getting an American push now with the band touring the USA in November. Kahn is one of my favorite singer-songwriters, a man who cites as influences Nina Simone, Tom Waits, Tom Lehrer, Brecht & Eisler, Woody Guthrie, Howlin’ Wolf, The Pogues, and Leonard Cohen, and can do so without being at all pretentious. His best material pairs up gypsy and klezmer music with the outrage of protest songs; he calls it “apocalyptic anthems for the revolution, or perhaps they are revolutionary anthems for the apocalypse.” Start with one he didn’t write: track 9 from the pen of Josh Waletzky, hands down the best Occupy Wall Street song ever. In a similar vein are 3, a soundtrack for the all-purpose resistance, and the title track (2) satirizing bourgeois situational ethics. On the more introspective side, 4 is a beautiful 19th century Yiddish labor-movement song and 12 is even more gorgeous, a retelling of the Old Testament story of Ishmael and Isaac. This band is at the very top of my list of talent deserving wider recognition.